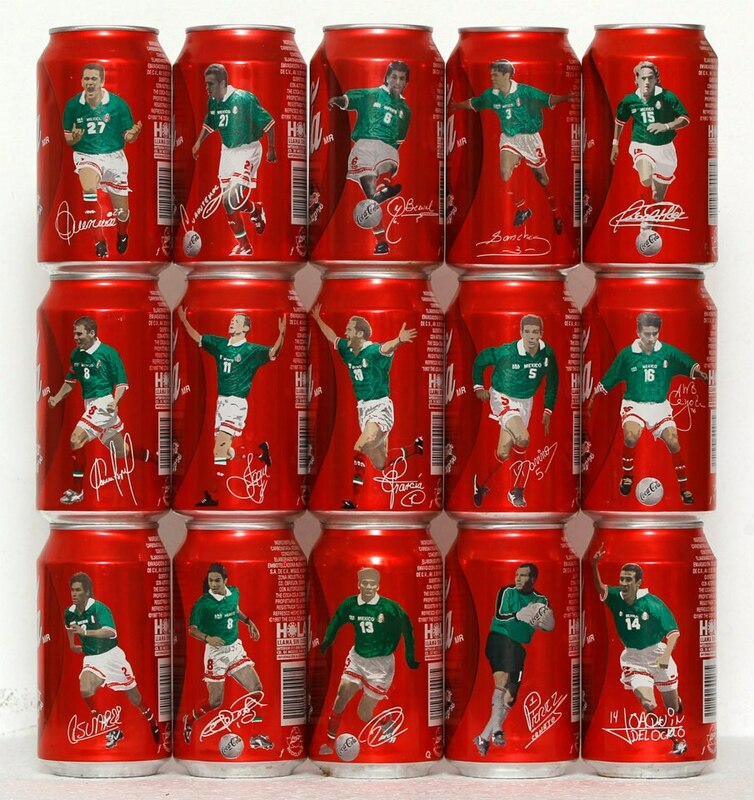 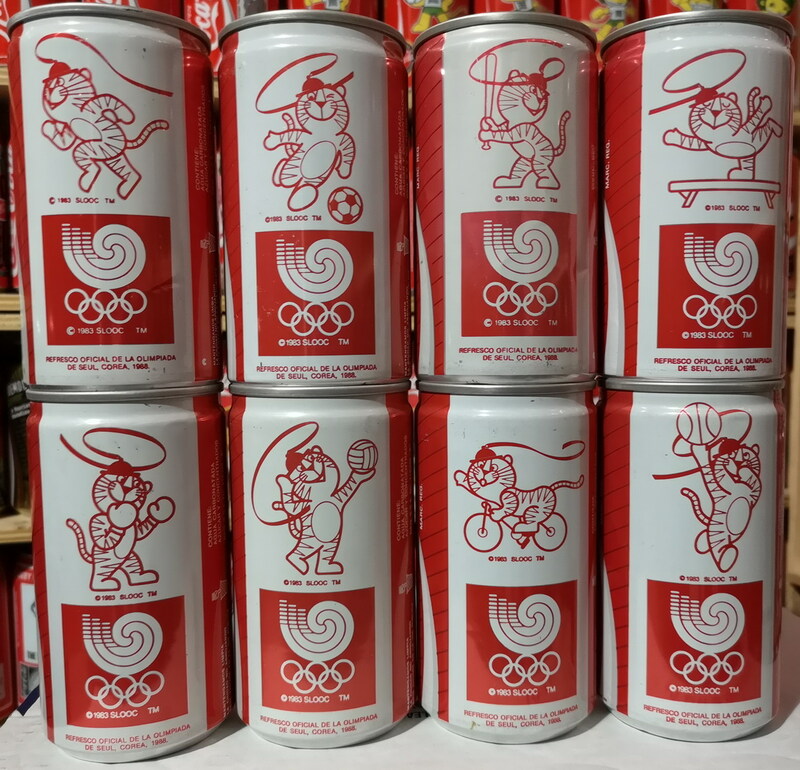 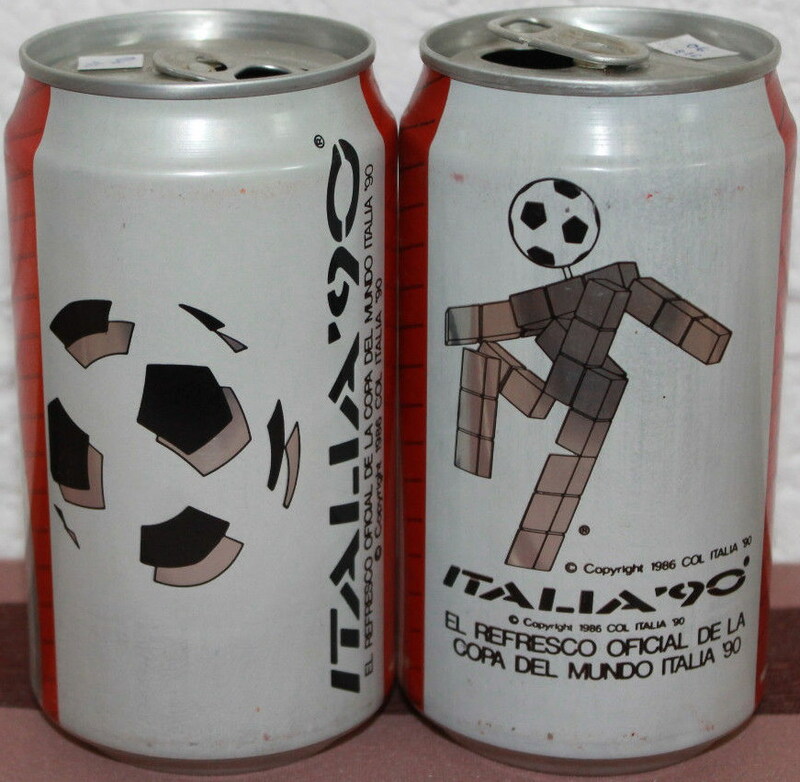 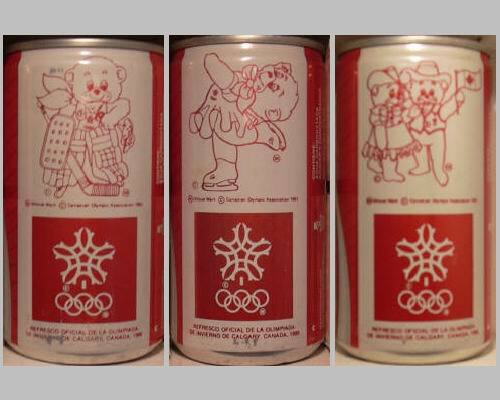 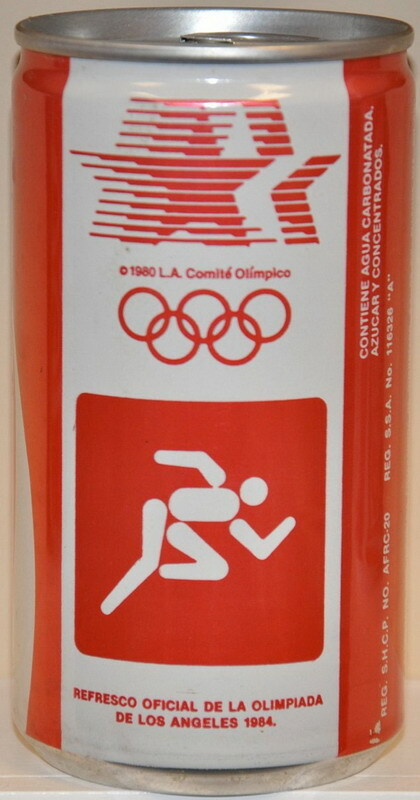 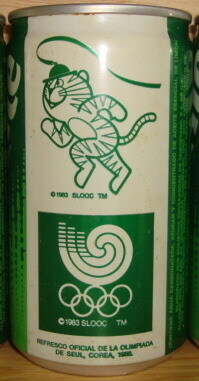 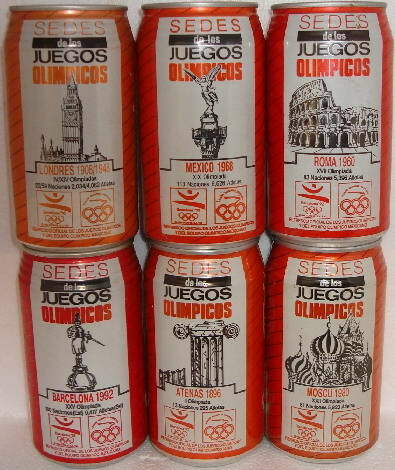 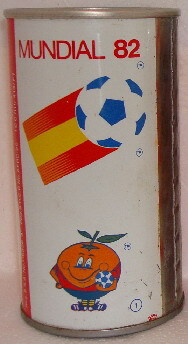 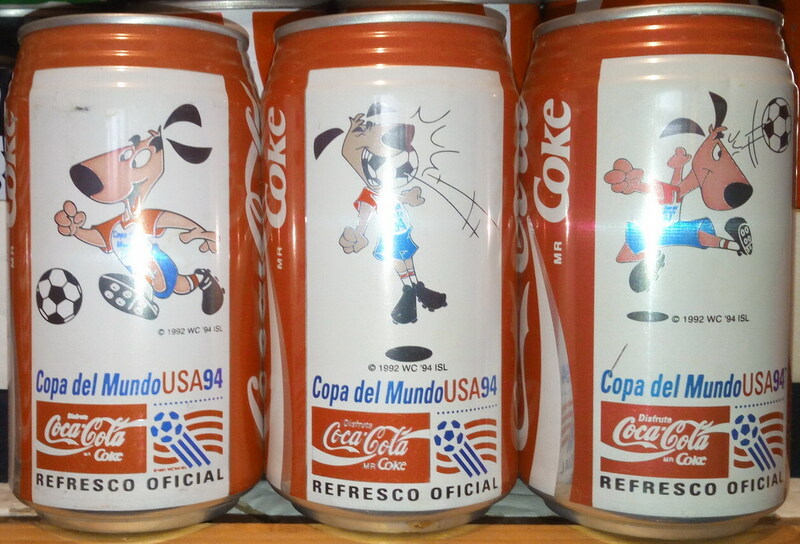 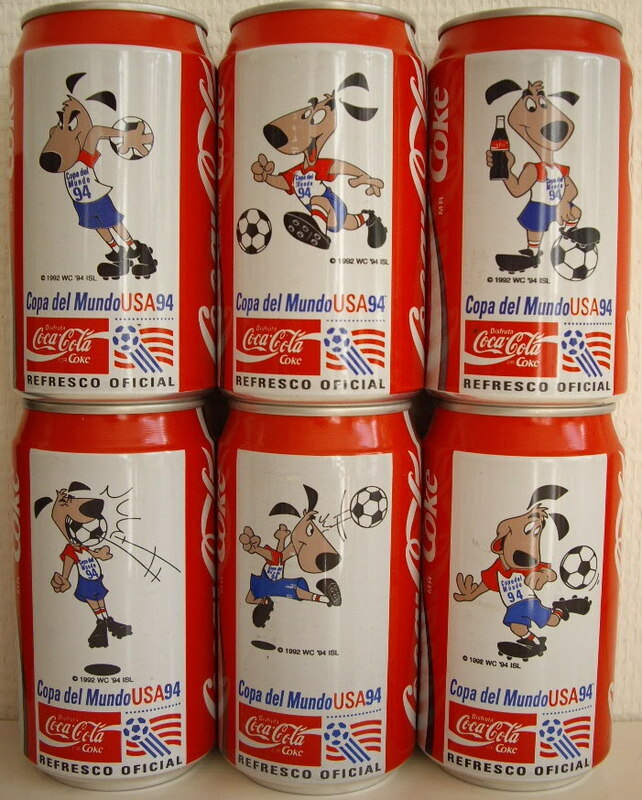 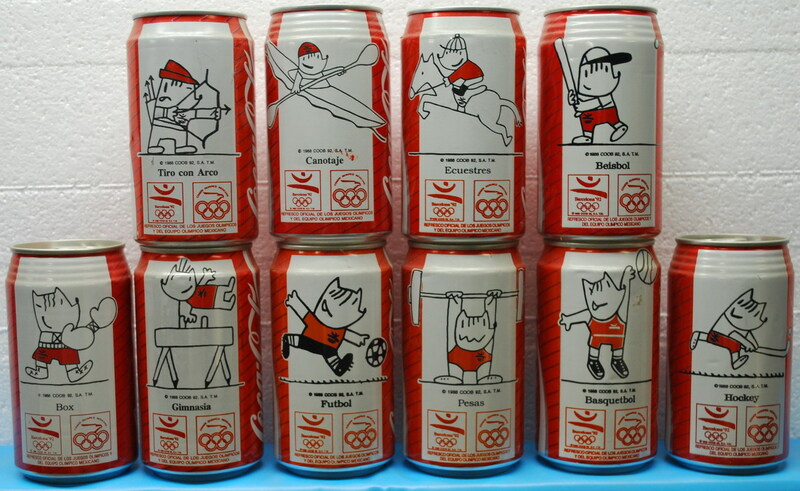 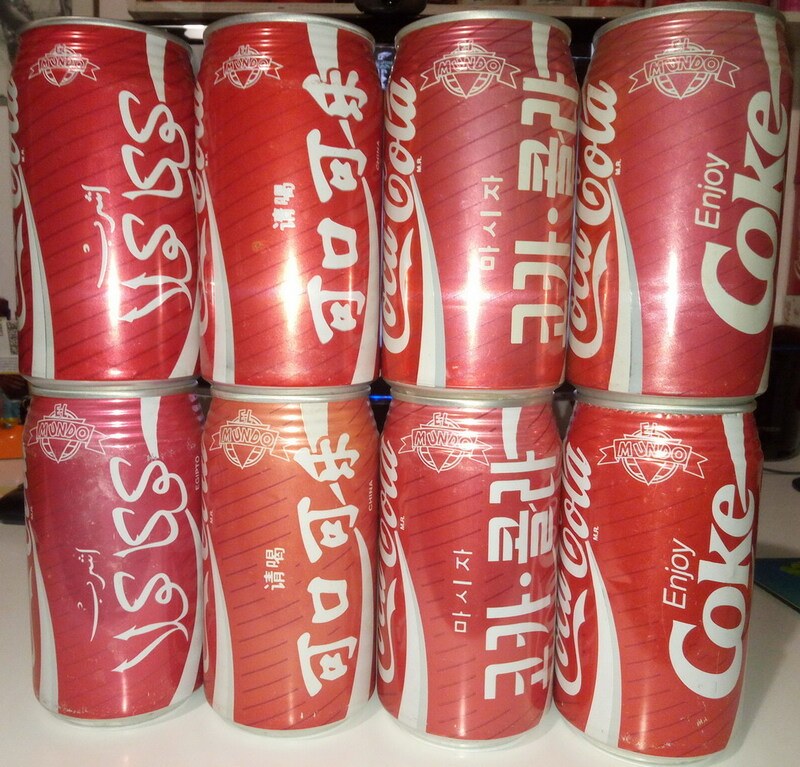 The coke can i have is numbered "1" but the following are rumour cans, what I mean is that I'm not sure that they really exist: Mundial 82, cans numbered from 2 to 6. 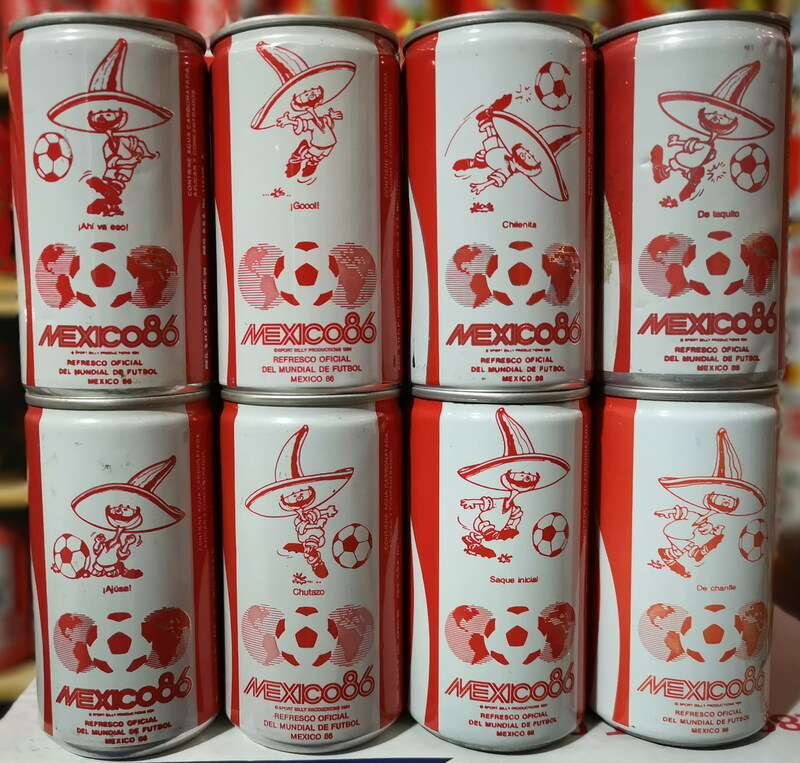 WC Mexico '86 : 1/8 ""Ajuaa""
WC Mexico '86 : 2/8 ""Goool""
WC Mexico '86 : 3/8 ""Ahi va eso""
WC Mexico '86 : 4/8 ""Chilenita""
WC Mexico '86 : 5/8 ""Chutazo""
WC Mexico '86 : 6/8 ""De chantie""
WC Mexico '86 : 7/8 ""De toquito""
WC Mexico '86 : 8/8 ""Saque inicial""
Most collectors thought that the 2 designs "Soccer" and "Baseball" was only released in Sprite. 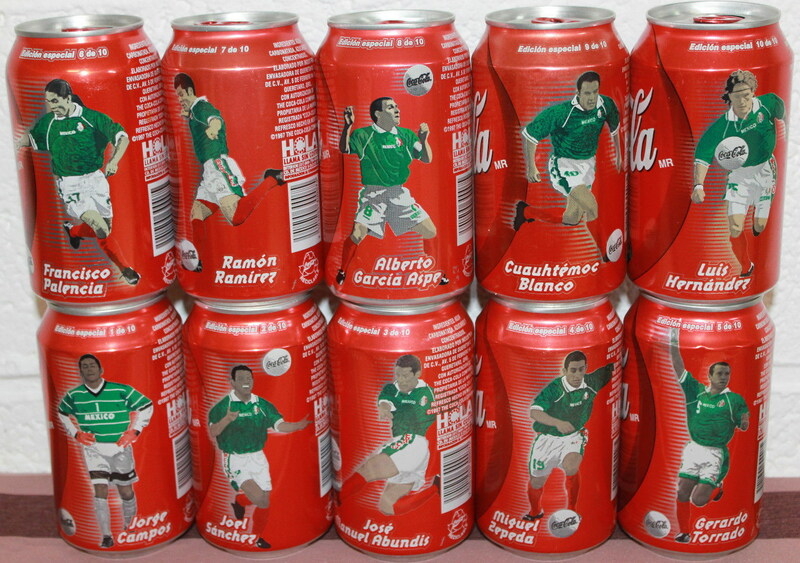 It's wrong, all 8 cans were released in both Sprite & Coke. 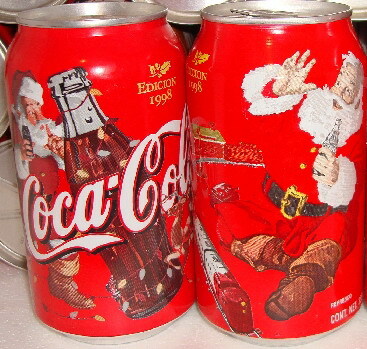 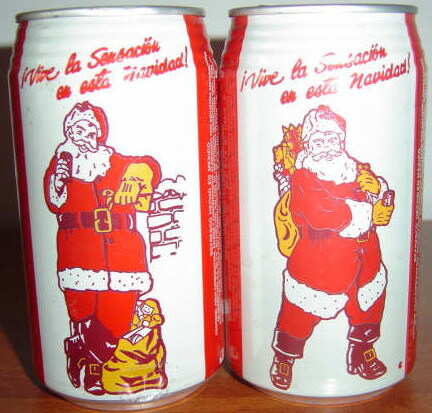 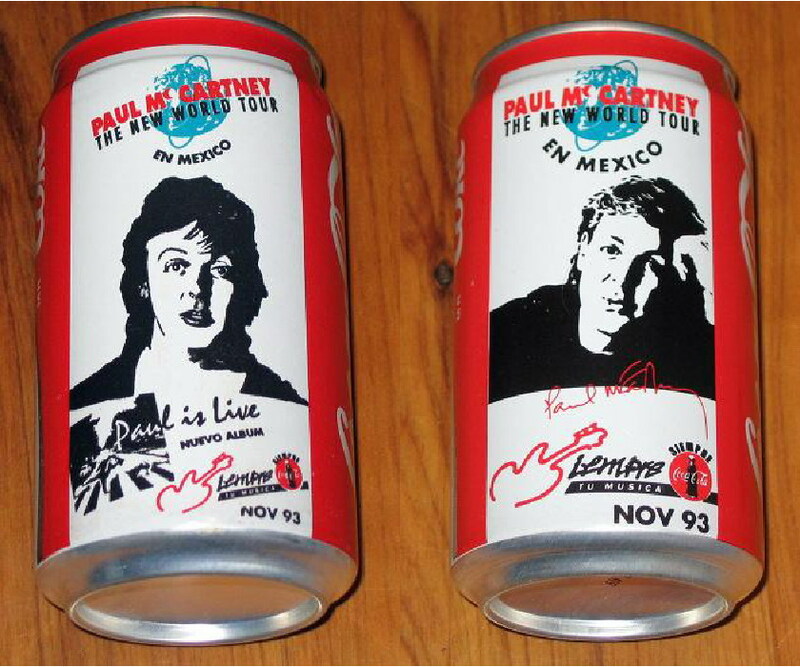 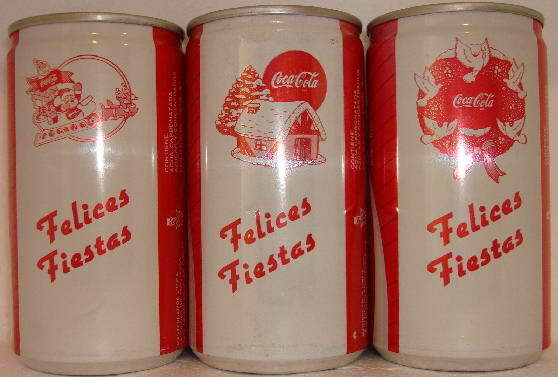 These 2 cans are the rarest and hardest to get of this coca cola set.